In honor of the 14th Annual Tribeca Film Festival, MoviefiedNYC brings you a daily movie still from a one of the films premiering today (4/22)—a movie we think you shouldn’t miss. Click on the title of the film for more information, including screening dates and times. Set on a picturesque farm in the Midwest, Maggie is a moving and visually stunning film that takes a quietly observant yet thrilling approach to the zombie genre. 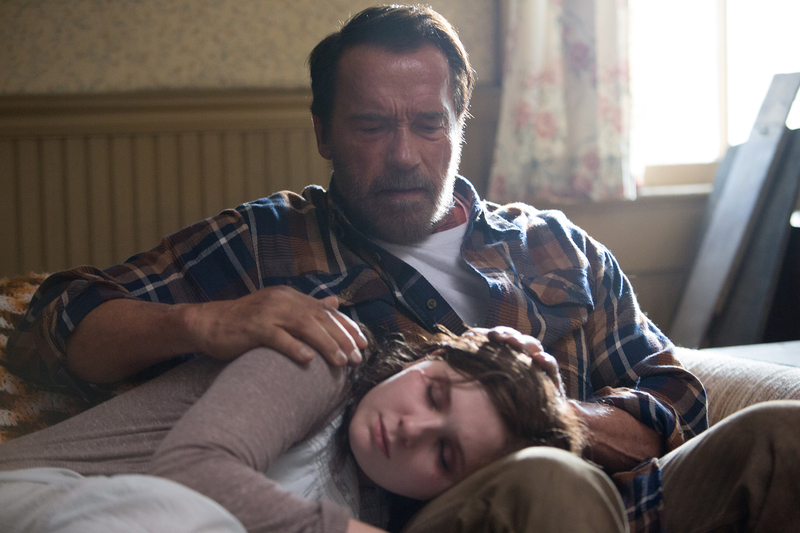 Hobson examines the interpersonal relationships that exist amidst the gore, and both Schwarzenegger and Breslin give thoughtful performances as a father-daughter team refusing to give in to the chaos around them.